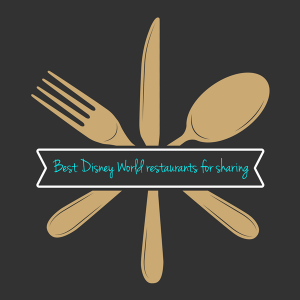 One way to stretch your dining budget or Disney Dining Plan credits is by sharing meals, and the best way to do that is to make sure you're dining at places or ordering entrees that have entrees large enough to share. Below, check out a list of Disney World restaurants where you can order portions that are big enough that you can split it with somebody else. You can share food at any Quick Service restaurant. If you're on the Disney Dining Plan, the QS credits aren't split between adults and kids. That means kids can order from the adult menu and gives you more food to share. You can share at any Table Service restaurant as long as it's not a buffet or fixed-price menu. On the Disney Dining Plan? Be sure to check out how to maximize your Disney Dining Plan credits to make sure you're using them wisely. 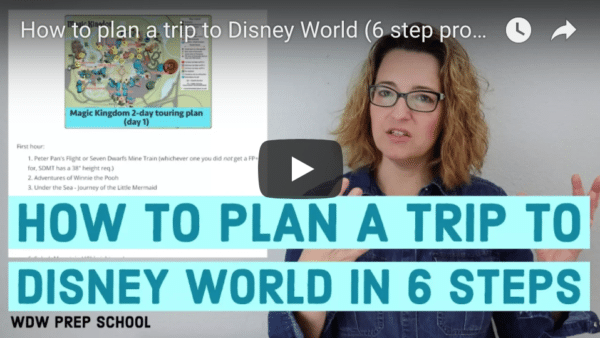 Disney World breakfast reservations and a ride – before the park opens! You said one can share at any Table Service restaurant as long as it’s not a buffet or fixed-price menu, does that apply to fine/signature dining as well? Many thanks! Hi! If you’re eating at BOG for breakfast, and you pre-order…can I order meals for just me and my husband and not my 2 kids, age 2 & 4? So wondering if even though I make a reservation for 4, is it ok to still just order 2 meals? Thanks!! Yep! Can definitely do that. At Quick Service locations, you can order as little or as much as you’d like, even with the fixed price menu options there. Since we’re not big meat eaters, anywhere with a toppings bar (Pecos Bill and Cosmic Rays) is usually a good choice for us. When we were at Trattoria al Forno in February there was a customer in front of me – he didn’t want to pay for one of his kids that wasn’t a hearty eater and would probably not eat at all or just share. I heard the woman at the front tell him that he was paying for the experience (Characters) and there was a charge for each guest.